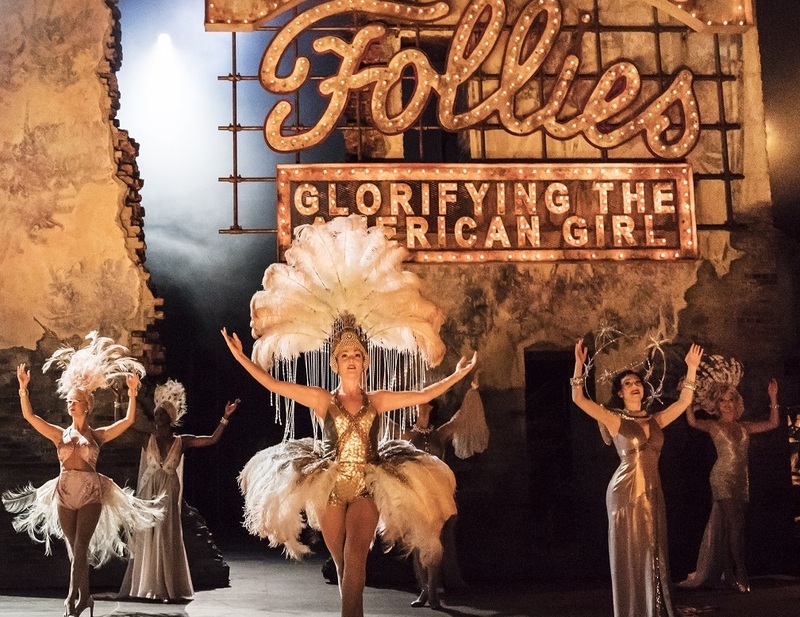 The faded splendour of a derelict theatre could do nothing to diminish the beauty and elegance of the fabulous Follies which proved, at last night’s opening, that the National Theatre can deliver a big-budget West End style musical on the South Bank. Running for 135 breathtaking minutes – without an interval – this evocative, tragic and utterly compelling masterpiece, from the pens of Stephen Sondheim and James Goldman, never falters. Imelda Staunton delivers an impeccable performance as one-time showgirl Sally Durant Plummer, whose life has been tormented by lost love. But she is not alone. 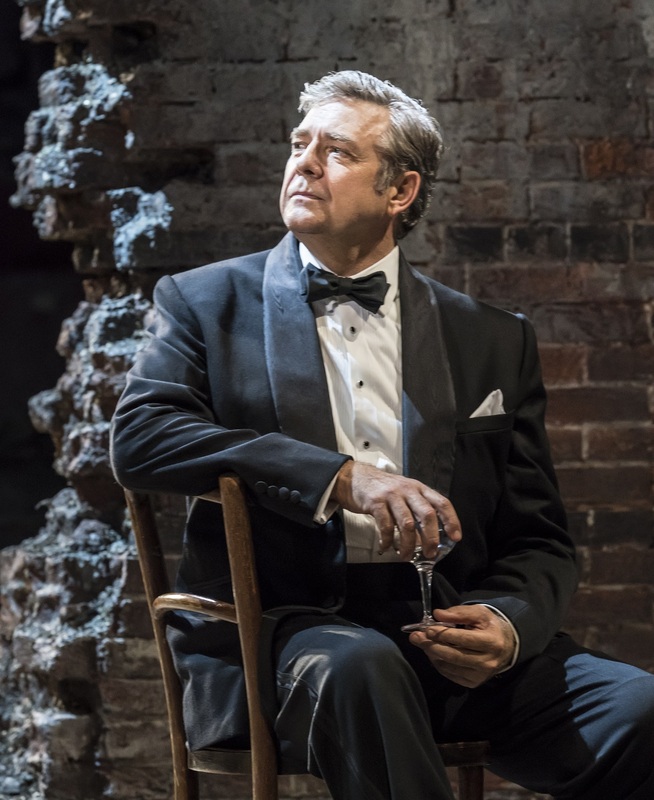 Janie Dee, Philip Quast and Peter Forbes share last night’s glittering triumph, wringing every ounce of emotion out of this superb production. Follies, revived in London for the first time in 30 years, is set in the crumbling debris of a former show palace. It’s 1971 and the Weismann Theatre, which staged glamorous revues between the wars, is now set to be torn down and replaced with an office block. 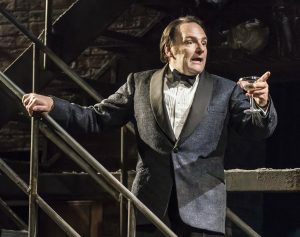 It’s the end of an era and former impresario Dimitri Weismann (Gary Raymond) is staging a reunion of his old Weismann Girls for one last hurrah at the near derelict venue. Haunted by the ghosts of men and women they once were, it is a chance for the shows’ stars to reminisce and regret. The nostalgic evening gives some an opportunity to right wrongs. Instead they end up opening old wounds. 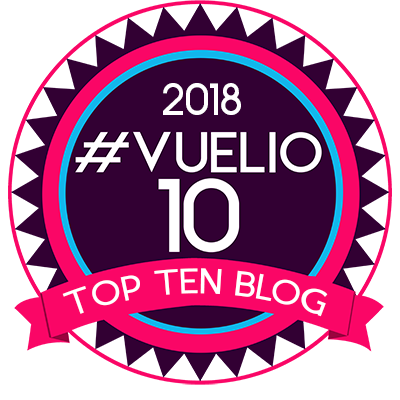 The fantasy and the illusion of theatre, the glitz, baubles and ostrich feathers, which was once these grand old dames’ reason to exist, may still be fresh in their memories but it’s a lifetime ago. 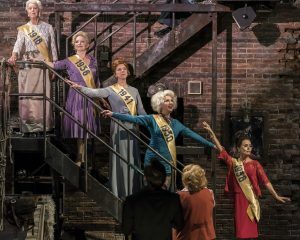 Follies captures the brutality of ageing in a business which celebrates youth and beauty, and it’s heartbreaking. At its heart is the story of dancers Sally Durant and her best friend Phyllis Rogers (Janie Dee) who fall for two young bucks, Buddy Plummer and Ben Stone. But the ambitious Ben (Quast) has a wandering eye and, despite being engaged to Phil, he “fools around” with the vulnerable Sally. When he refuses to break off his engagement the emotionally fragile Sally marries Buddy (Forbes) and both couples spend the next 30 years regretting their decisions. Meeting up once again at the Weismann farewell party offers all four of them a chance to start over – if that’s what they want. Elsewhere other Wisemann favourites are given their moment back in the spotlight. Tracie Bennett’s wisecracking Carlotta, now a TV star with a toyboy in her bed, stops the show with the momentously poignant “I’m Still Here”. Buxom broad and five-times married, Hattie (Di Botcher) – silently watched, with a look of disdain, by her glamorous, skinny, younger self (Aimee Hodnett) – knocks your socks off with her rendition of “Broadway Baby”. Billy Boyle and Norma Atallah as married hoofers Theodore and Emily Whitman present a charming cameo of a successsful showbiz marriage. Elsewhere the younger versions of Sally, Phyllis, Ben and Buddy – Alex Young, Zizi Strallen, Adam Rhys-Charles and Fred Haig, play out the flashback scenes which are beautifully woven into present day encounters. Follies is the largest and most ambitious musical ever staged at the National – with 37 cast members and 21 superb musicians (who are hidden away at the back of the Olivier stage) – and director Dominic Cooke has given it his own magical interpretation. I loved Vicki Mortimer’s shambling set and Bill Deamer’s nostalgic choreography that is so reminiscent of the golden days of Broadway. Follies is a show that you will want to see – and I suspect that Broadway may want to see it too. If you can’t get tickets then the show is being broadcast as part of the NT Live initiative on November 16. 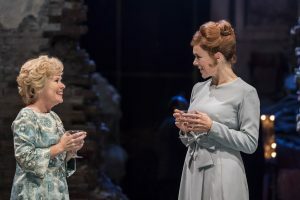 Follies makes a triumphant return to London and gives the National Theatre a dazzling success. The musical doesn’t put a foot wrong. Fabulous.